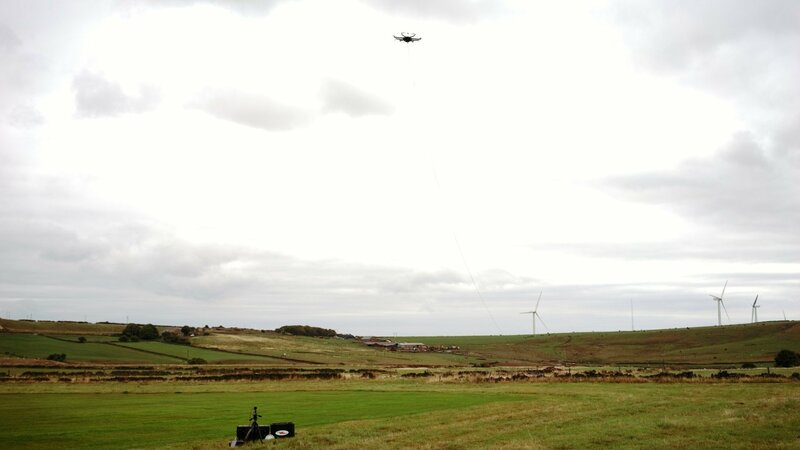 Since the start of 2018 we have been busy conducting tether testing with Dark Matter®hX in different operating and challenging conditions. Recently we completed tethered endurance tests to demonstrate some of Dark Matter® hX capabilities and specifically the ruggedness of our systems. Firstly, Dark Matter®hX was deployed for 5+ hours. This was quickly followed by another test of more than 8 hours continuous flight just a few days later, both recorded as a time lapse video. We are pleased to share these videos of the endurance testing in the links below. click here for 5+ hrs tether endurance video. click here for 8+ hrs tether endurance video. Surveillance - For example: Events, Airports, Harbours, Border patrol. More information about tethered applications can be found in the 'Tether' section of our website. The Dark Matter® hX comes fitted with a SmartAP-Clogworks autopilot, developed in partnership between Clogworks Technologies and Sky-Drones, and can be controlled by a ground control station with intuitive pilot interface or RC transmitter. A unique & intuitive tether mode in the SmartAP Ground Control Software offers built-in functionality such as auto-takeoff, auto-landing, heading/altitude adjustments, as shown during the video. During the test, the Dark Matter® hX was powered by a Safe-T tether station from Elistair which can feature an automatic tether up to 100mtr. The tether provides power as well as a 100% secure data-link that is used to communicate with the aircraft as well as a video link. The tether air module is protected inside the core of the Dark Matter® hX and has an emergency backup flight battery in case of a power failure. The retract system allows for an unobstructed 360° view from the payload and thanks to the aircraft's excellent efficiency and quick-release railing system, custom & sizeable payloads can be fitted while operating on tether, offering fantastic flexibility of the system. The integrated forward facing FPV camera, its video feed is shown during take-off along with telemetry data, can also be used to quickly check the heading and status of the Dark Matter® hX at all times. The Dark Matter® hX is a very efficient & versatile system whatever the use and aircraft configuration. In standard battery operated conditions it also offers world-class performance with a long flight time (up to 45 minutes), operation in wind speed of up to 12m/s (26.8mph, 23.3knots, 43.2km/h) and flight speeds up to 20m/s (44.5mph, 38.9knots, 72km/h). Sky-Drones creates professional UAV flight control system solutions including autopilot hardware, onboard flight control software, mobile software and cloud services. The company helps its global customers to build and operate commercial drones for security, inspections, mapping, media production and agriculture. The flagship product of the company is SmartAP Autopilot - powerful flight controller for any type of drones with fully autonomous capabilities. SmartAP provides excellent flight performance along with high level of redundancy and flexible payload integration. 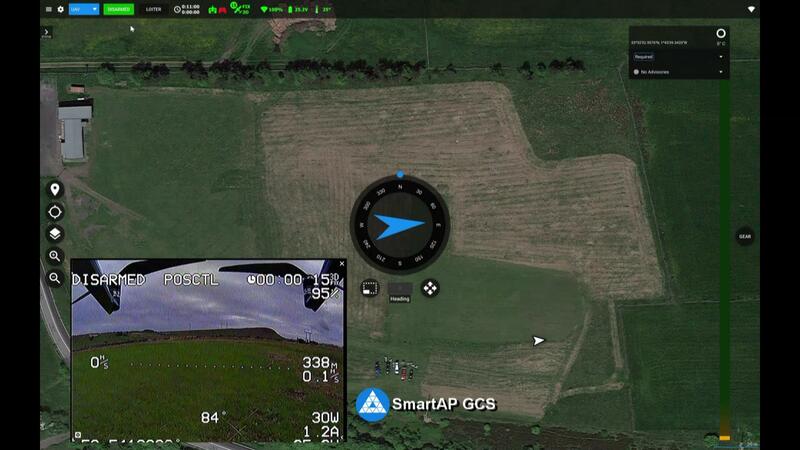 Sky-Drones also offers SmartAP GCS - intuitive mission planning and drone operations management software with integrated airspace awareness services available for any platforms and operating systems. For more information, please visit: www.sky-drones.com. Clogworks Technologies designs and manufactures high quality precision engineered carbon fibre unmanned aerial vehicles (UAV) and accessories. The organisation specialises in delivering UAV solutions to professional UAV operators involved in industrial, security and commercial applications, strive for great customer relations and constantly invest in innovation. For more information, please visit: www.clogworks.com.